Dr. Divya Agarwal has successfully completed a voluntary, rigorous written and clinical examination process through The American Board of Orthodontics (ABO). ABO certification is recognized throughout the world as representing the highest level of commitment to orthodontic patient care. 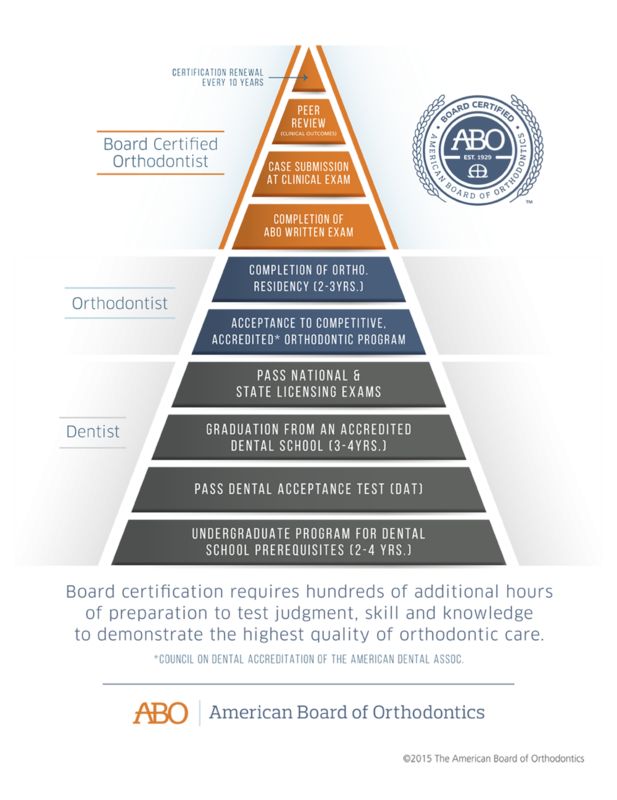 Board certification requires hundreds of additional hours of preparation to test judgment, skill and all orthodontists must be licensed to practice, but ONLY 1 IN 3 ORTHODONTISTS ARE BOARD CERTIFIED. Knowledge to demonstrate the highest quality of work. Orthodontic treatment options and technology change rapidly, making it is essential for orthodontists to keep abreast of the latest advances.